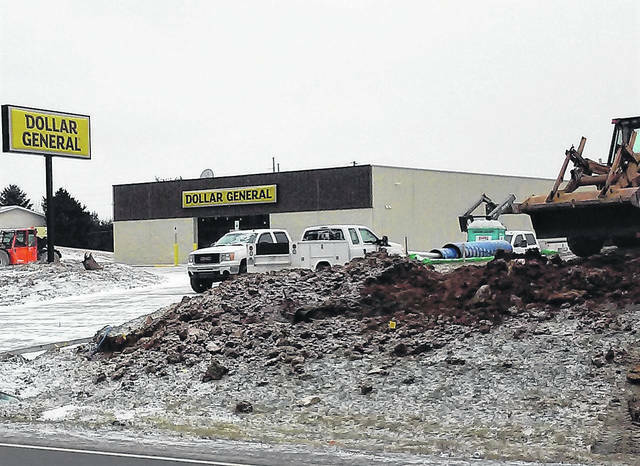 Despite the cold and snow this week, construction is progressing on Hillsboro’s newest Dollar General store, located on the southern edge of town on U.S. Route 62. According to Dollar General Public Information Officer Angela Petkovic, this new store will not replace the one located at 1410 N. High St. across from Highland District Hospital. A grand opening is tentatively scheduled for early spring, but she said weather and construction issues could change the date. She told The Times-Gazette that the store will staff six to 10 employees, depending on the individual needs of the store, and anyone interested in applying for a position can do so at www.dollargeneral.com/careers.